16/06/16 -- Soycomplex: Beans closed lower. The move came despite the USDA reporting net weekly export sales of 816,400 MT for 2015/2016, up 8 percent from the previous week and 57 percent from the prior 4-week average. There were also new crop sales of 768,600 MT reported primarily for China (475,000 MT) and unknown destinations (185,000 MT). Actual export of 124,800 MT weren't too bright though. Jul 16 Soybeans settled at $11.34 1/2, down 21 1/2 cents; Nov 16 Soybeans settled at $11.19 1/4, down 19 1/4 cents; Jul 16 Soybean Meal settled at $397.70, down $9.50; Jul 16 Soybean Oil settled at 31.16, down 80 points. Corn: The market closed lower. Weekly export sales of sales of 909,700 MT for 2015/2016 were down 39 percent from the previous week and 36 percent from the prior 4-week average. For 2016/2017, net sales of 178,700 MT were reported for unknown destinations (42,700 MT), Mexico (40,000 MT), Japan (30,500 MT), and Panama (21,500 MT). Exports of 1,507,900 MT were a marketing-year high and were up 27 percent from the previous week and 42 percent from the prior 4-week average. Jul 16 Corn settled at $4.25 1/4, down 3 3/4 cents;p Sep 16 Corn settled at $4.30 1/2, down 3 1/2 cents. Wheat: The wheat market finished lower. Weekly export sales of 762,900 MT were reported for delivery in marketing year 2016/2017, which was better than expected. Exports of 351,800 MT were reported to Japan (74,300 MT), the Philippines (50,500 MT), Mexico (46,300 MT), Nigeria (43,200 MT), Guatemala (36,900 MT) and Peru (34,400 MT). Saudi Arabia are tendering for 300,000 MT of hard wheat. Algeria bought 150,000 MT of optional origin (EU/Black Sea?) wheat for new crop shipment. Japan bought US/Canadian/Oz wheat. Egypt might be back in the market soon it is thought. Sep 16 CBOT Wheat settled at $4.84 3/4, down 4 3/4 cents; Sep 16 KCBT Wheat settled at $4.68 1/2, down 6 cents; Sep 16 MGEX Wheat settled at $5.38 3/4, down 1 3/4 cents. 16/06/16 -- EU grains closed mostly weaker for a third day, with with Jul 16 London wheat down GBP0.90/tonne at GBP108.55/tonne, Sep 16 Paris wheat falling EUR1.75/tonne at EUR162.50,tonne, Aug corn was EUR3.00/tonne lower at EUR182.50/tonne and Aug 16 rapeseed was down EUR5.00/tonne to EUR364.25/tonne. US gains were red across the board, and that sentiment spilled over into European trade. Yet again fresh news was lacking, and down seems to be the route of least resistance. Saudi Arabia tendered for 300,000 MT of hard wheat. with the results expected over the weekend. Algeria were said to have bought 150,000 MT of optional origin wheat for Aug/Sep shipment. Egypt may soon return to the market, having bought 5 MMT domestically in recent months from their newly harvest 2016/17 crop, say the HGCA. 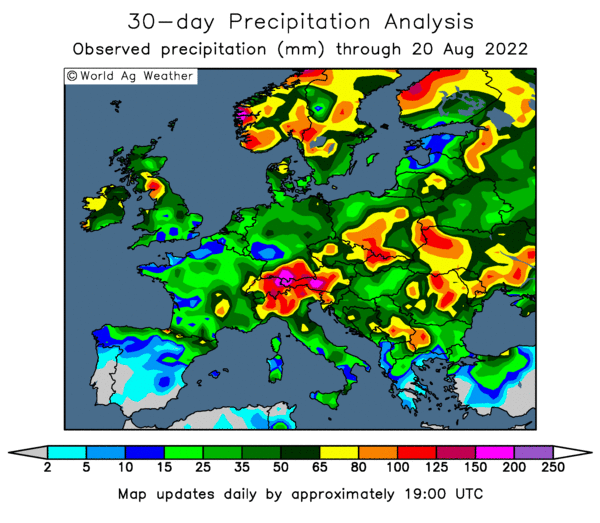 Wet weather continues across France and most of central Europe. Rain makes grain is the old adage, so yields could be bumper this year, but what about quality? 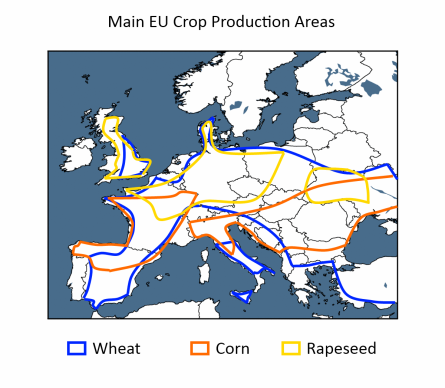 Is France in for an abundance of low-quality wheat, much as we saw a couple of years ago? Only time will tell, but it certainly looks to be a possibility. 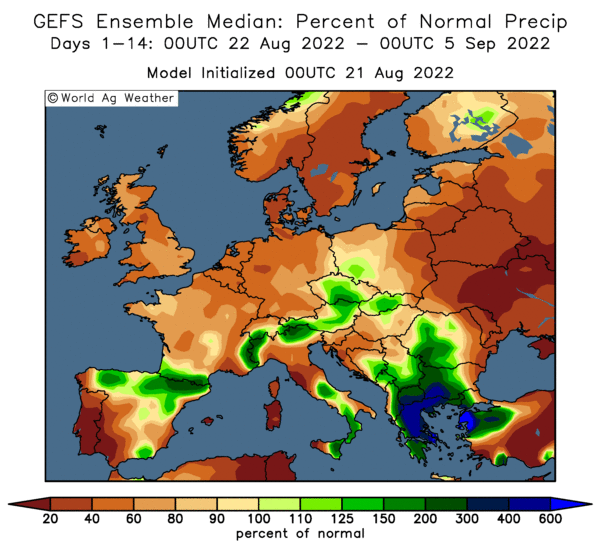 The Spanish Association of grain traders said that they expect yields to be significantly higher this year, with winter wheat production forecast 33.9% higher at 7.26 MMT. Barley output is seen rising even more - up 61% to 10.3 MMT. 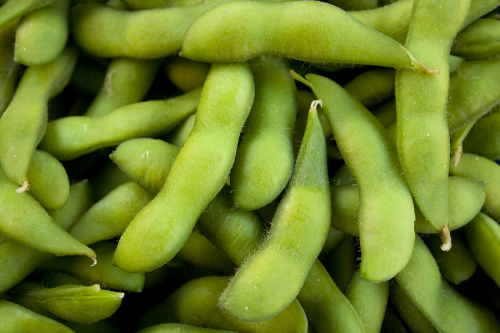 15/06/16 -- Soycomplex: Soybeans closed lower for a third day. That came despite the NOPA crush report for May showing its members crushed a record 152.82 million bushels of beans last month. The Rosario Grain Exchange increased its 2015/16 Argentinean soybean production estimate by 300,000 MT to 55.3 MMT (USDA: 56.0 MMT). Conab lowered Brazil by 1.27 MMT to 95.63 MMT (USDA: 97.0 MMT). They see exports at 54.1 MMT (USDA: 58.75 MMT). CNGOIC estimated China's soybean imports to reach 85 MMT in 2016/17 (UDSA: 87 MMT). Trade estimates for tomorrow's weekly export sales report are 500 TMT to 1.5 MMT over both crop years. Jul 16 Soybeans settled at $11.56, down 13 1/2 cents; Nov 16 Soybeans settled at $11.38 1/2, down 10 3/4 cents; Jul 16 Soybean Meal settled at $407.20, down $1.40; Jul 16 Soybean Oil settled at 31.96, down 56 points. Corn: The corn market finished the day reversing all of Tuesday's losses. Again, this was despite their being some friendly information about. The US Energy Dept put weekly US ethanol production at an all time high 1.013 million barrels per day, and up 7,000 barrels per day from the previous week. Russia said it's 2016 corn crop was 93% planted. Trade estimates for tomorrow's weely export sales report for corn range from 800,000 MT to 1.6 MMT. Jul 16 Corn settled at $4.29, down 7 1/2 cents; Sep 16 Corn settled at $4.34, down 7 3/4 cents. Wheat: The wheat market closed lower. The Argentine Ag Min said that wheat plantings there for the 2016/17 harvest could grow 23% to 5 million ha. Production could therefore increase 36% to 15.37 MMT, with exports rising to 9 MMT, of which 5 MMT could go to neighbouring Brazil, they said. It's not out of the way, Argentina has produced and exported these sorts of volumes before. Japan tendered for 112,900 MT of wheat in it;s regular weekly tender. The origins specified are US, Canadian and Australian. Weekly export sales tomorrow are expected in the region of 250-450 TMT. Jul 16 CBOT Wheat settled at $4.77 1/2, down 7 1/2 cents; Jul 16 KCBT Wheat settled at $4.56 3/4, down 1 3/4 cents; Sep 16 MGEX Wheat settled at $5.40 1/2, down 2 3/4 cents. 15/06/16 -- EU grains finished in the red across the entire board in Paris, with London wheat unchanged. Jul 16 London close flat at GBP109.45/tonne, Sep 16 Paris wheat was down EUR1.75/tonne at EUR164.25/tonne, Aug corn was EUR0.50/tonne lower at EUR185.50/tonne and Aug 16 rapeseed was down EUR5.00/tonne to EUR372.25/tonne. Weaker US markets, pre-harvest pressure and nervousness ahead of next week's UK referendum vote encouraged a bit of selling. Fresh news was generally lacking. Worries over the quality of this year's French wheat crop are keeping a floor in the market for the time being, at least until more is known once the harvest commences. As the search for foreign wheat homes continues, Reuters reported that the French port of Dunkirk was this week loading 66,000 MT of wheat for Vietnam - the first such sale in 25 years. The HGCA noted that "rapeseed is still not in control of its own destiny" saying it's fortunes are closely aligned to those of palm and soybeans. US beans were down today, and rapeseed followed suit despite strong underlying fundamentals. Russia reported spring wheat plantings fully complete, with barley past 96% done and corn sowings on 93%. 14/06/16 -- Soycomplex: Soybeans closed mostly lower. Fresh news was lacking, so it looks like a bit of profit-taking/consolidation kicked in. US crop conditions are generally good and prospects are looking favourable at this early stage. The USDA reported 110,000 MT of US soybeans were sold to unknown destinations for 2016/17 delivery. Jul 16 Soybeans settled at $11.69 1/2, up 1/2 cent; Nov 16 Soybeans settled at $11.49 1/4, down 9 3/4 cents; Jul 16 Soybean Meal settled at $408.60, up $0.20; Jul 16 Soybean Oil settled at 32.52, up 1 point. Corn: The corn market closed higher. Private exporters reported that 136,000 MT of US corn was sold to Japan this morning, with 60,000 MT of that slated for 2015/16 delivery. A few reports of hot and dry weather hurting the newly sown US crop are doing the rounds. That maybe enough to encourage some short-covering. It's still very early and US crop prospects are still good however. The prospect of a UK vote whether or not to leave the EU next week is maybe prompting some nervousness. Jul 16 Corn settled at $4.36 1/2, up 6 1/2 cents; Sep 16 Corn settled at $4.41 3/4, up 6 1/4 cents. Wheat: The wheat market closed lower on harvest pressure. The USDA peg the 2016 US winter wheat harvest at 11% complete as of Sunday night. Unlike beans and corn there were no daily export sales to support a wheat fully aware of competitive pressures elsewhere. ABARES increased their forecast for the Australian wheat crop to 25.4 MMT vs the 24.5 MMT previously expected. One or two concerns remain over French wheat, although carryover stocks from last season are large. Quality downgrades could be the biggest threat there this year. Jul 16 CBOT Wheat settled at $4.85, down 6 1/4 cents; Jul 16 KCBT Wheat settled at $4.58 1/2, down 2 1/4 cents; Sep 16 MGEX Wheat settled at $5.43 1/4, down 6 3/4 cents. 14/06/16 -- EU grains mostly lower as the 2016 harvest nears and the nearing Brexit referendum nears causing some "risk off" mentality. Front month Jul 16 London wheat closed down GBP2.30/tonne at GBP109.45/tonne, Sep 16 Paris wheat was EUR3.75/tonne easier at EUR165.50/tonne, Aug corn closed EUR1.75/tonne lower at EUR186.00/tonne and Aug 16 Paris rapeseed closed EUR2.75/tonne weaker at EUR377.25/tonne. 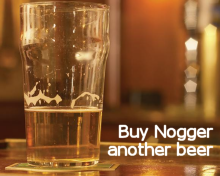 Fresh news was lacking and the market is conscious that new crop will soon be upon us. Whilst Europe may have made sterling efforts to shift last season's crop, carryover into 2016/17 remains much larger than normal. 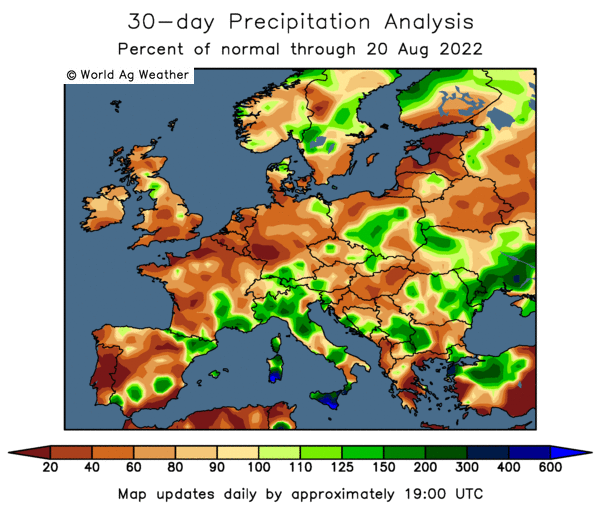 Excessive wetness concerns in France add support for now, at least until the harvest there begins and we get some firm reports on yields from the field. Rains are persisting in the northern parts of France. Russia said that they'd planted 13.6 million ha of spring wheat, which is 103.2% of the original Ministry forecast. Production forecasts their this year are creeping higher. Spring barley planting is said to be 96.1% done on 7.8 million ha. Russian customs data shows that they exported 13.436 MMT of grains Jan 1 to Jun 14 this year, of which 56% (7.73 MMT) was wheat. That takes grain exports since the start of the season to 36.35 MMT, of which wheat accounts for 66% (23.79 MMT). Rains in Australia are strengthening the prospect of a good harvest there for 2016/17. with Abares now calling their wheat crop at 25.4 MMT vs the 24.5 MMT previously expected. The reduced their canola production estimate from 3.27 MMT to 3.2 MMT. 13/06/16 -- Soycomplex: Beans closed lower after an early rally attempt faded out. Weekly USDA export inspections reported today were 136,506 MT. Informa raised their acreage estimate for US soybeans in 2016 to 83.761 million, up 750k from their previous guess and 1.5m up on a year ago. After the close USDA indicated that 92% of the US bean crop has been planted, 7 points ahead of last year. They increased good to excellent crop ratings by 2 points to 74%. Jul 16 Soybeans settled at $11.69, down 9 1/4 cents; Nov 16 Soybeans settled at $11.59, down 3 3/4 cents; Jul 16 Soybean Meal settled at $408.40, down $5.60; Jul 16 Soybean Oil settled at 32.51, down 25 points. Corn: The market closed with decent gains. Informa updated its planted acreage figure for US corn to 92.566 million acres, down 810k from its previous forecast. Weekly export inspections reported by USDA this morning were strong at 1.697 MMT also adding support. The USDA left corn crop ratings unchanged at 75% good to excellent. They said that 96% of the US corn crop is emerged, 2 points ahead of the 5 year average. Jul 16 Corn settled at $4.30, up 7 cents; Sep 16 Corn settled at $4.35 1/2, up 8 cents. Wheat: The wheat market ended mixed across the three exchanges. Weekly export inspections were 363,803 MT. Informa pegged US wheat acres at 50.2 million, down 4.5 million on last year. 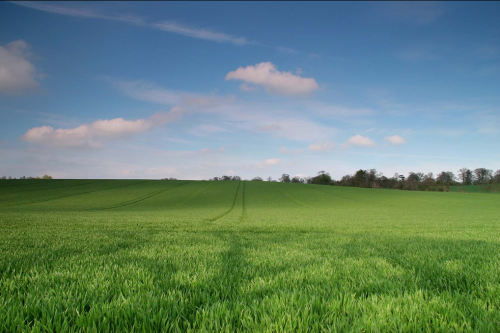 Spring wheat plantings are seen 10% lower year-on-year at 11.9 million. The USDA pegged the 2016 US winter wheat harvest at 11% done versus 18% complete on average at this time. 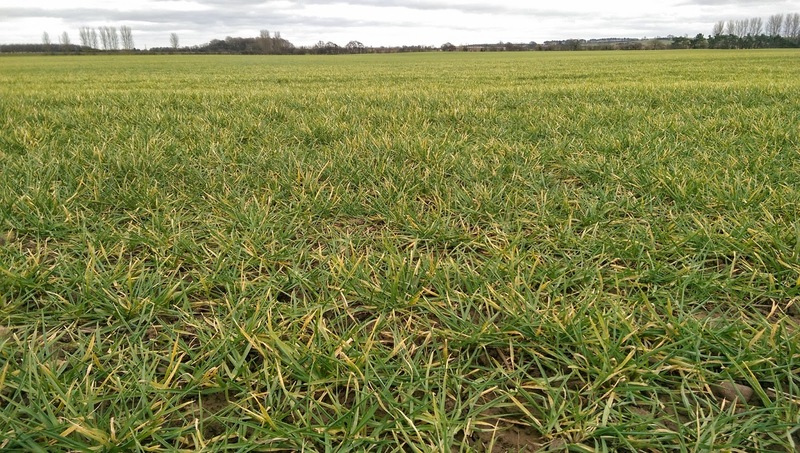 Winter wheat crop condition rated good to excellent fell one point to 61%. Spring wheat condition were unchanged on the good to excellent category at 79%. Jul 16 CBOT Wheat settled at $4.91 1/4, down 3 3/4 cents; Jul 16 KCBT Wheat settled at $4.60 3/4, down 7 3/4 cents; Sep 16 MGEX Wheat settled at $5.50, up 3 1/4 cents. 13/06/16 -- EU grains closed mostly firmer, but off the intra day highs, with Jul 16 London wheat up GBP0.15/tonne at GBP111.75/tonne, Sep 16 Paris wheat up EUR0.75/tonne at EUR169.25,tonne, June corn was EUR01.75/tonne higher at EUR187.75/tonne and Aug 16 rapeseed was up EUR0.75/tonne to EUR380.00/tonne. APK Inform said that this year's Russia grain harvest would total 105.7 MMT, a 2.1% increase on last year. That's a lot of grain to shift once again, and would leave them aggressive throughout at least the first three-quarters of 2016/17. Weekly customs data shows that Russia's grain exports last week were 308.3 MMT - more than double those of the previous week - of which wheat accounted for 210 TMT. Ukraine's grain exports were also up last week, to 446.7 TMT from 431.6 TMT the previous week. Wheat accounted for 268.2 TMT of that total and corn 175.8 TMT. They will be harvesting new crop barley there soon and will doubtless squeeze all their exports for that into the front end of the season as usual. Algeria announced a tender for 50,000 MT of optional origin hard wheat for Aug/Sep shipment. The French Ag Ministry estimated rapeseed yields there this year down 4.9% at 3.39 MT/ha due to excessive rains. They predict production at 5.1 MMT, down 3.7% from a year ago and 2.2% below the 5-year average despite an increase in plantings. Wet weather has led to a sharp increase in insect damage, along with fungal infestations and other diseases, they said. The market is concerned that the French wheat crop might be going a similar way. 10/06/16 -- Soycomplex: Soybeans closed higher, with the best gains coming in new crop. The USDA were unchanged on potential US, Brazilian and Argentine production in 2016/17, and global imports were also unaltered. What they did alter was a switch in sales from Brazil (down 0.5 MMT to 59.7 MMT) to the US (up 0.4 MMT to 51.7 MMT). US carryout was trimmed 1.2 MMT to just over 7 MMT, and world ending stocks were down the bast part of 2 MMT to 66.3 MMT. Jul 16 Soybeans settled at $11.78 1/4, up 2 1/4 cents; Nov 16 Soybeans settled at $11.62 3/4, up 10 cents; Jul 16 Soybean Meal settled at $414.00, up $0.50; Jul 16 Soybean Oil settled at 32.76, down 27 points. 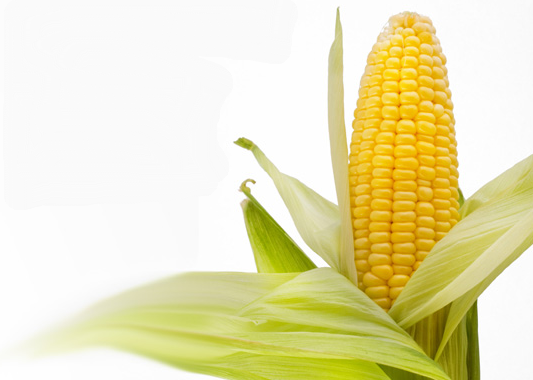 Corn: The corn market finished the day with losses of around 2-3 cents. The USDA were unchanged on potential US, Brazilian and Argentine production in 2016/17, although global ending stocks were cut nearly 2 MMT to 205.1 MMT. Brazil's export potential in 2016/17 was cut 2 MMT to 23 MMT, Argentina's was unchanged at 22.5 MMT and that of the US raised 0.5 MMT to 49.5 MMT. US 2016/17 carryout was lowered 3.7 MMT to 51 MMT, but still the highest since 2004/05. Jul 16 Corn settled at $4.23, down 3 1/2 cents; Sep 16 Corn settled at $4.27 1/2, down 3 cents. Wheat: The wheat market closed with double digit losses. The USDA upped the size of this year's world wheat crop by nearly 4 MMT to 730.8 MMT - less than a 0.5% decline on last year's record. The US wheat crop was raised more than 2 MMT to 56.3 MMT and Europe's was increased 1 MMT to 157.5 MMT. Russia also got an increase - up from 63 MMT to 64 MMT. It will be another competitive season on the export front then, with the USDA suggesting that America will account for 24.5 MMT of these, up 0.5 MMT on a month ago, Europe's exports were also raised 0.5 MMT to 35.5 MMT. Jul 16 CBOT Wheat settled at $4.95, down 15 1/4 cents; Jul 16 KCBT Wheat settled at $4.68 1/2, down 15 3/4 cents; Sep 16 MGEX Wheat settled at $5.46 3/4, down 15 3/4 cents. 10/06/16 -- EU grains finished in the red across almost the entire board. Jul 16 London wheat was one exception closing up GBP0.30/tonne at GBP111.60/tonne, Sep 16 Paris wheat was down EUR2.50/tonne at EUR168.50/tonne, Aug corn was EUR0.50/tonne lower at EUR186.00/tonne and Aug 16 rapeseed was down EUR3.00/tonne to EUR379.25/tonne. For the week, Jul 16 London wheat rose GBP4.15/tonne and new crop Nov 16 rose GBP2.95/tonne. Front month Paris wheat fell EUR0.75/tonne, corn added EUR4.50/tonne and rapeseed was unchanged. Data out of Brussels puts the volume of EU-28 soft wheat export licences this week at 374,000 MT, down from 633,000 MT last week. That takes the total volume granted so far this season to 29.2 MMT, down 3% year-on-year. Barley export licences came in at 55,000 MT, with the year to date total now up 7% versus last season at 9.2 MMT. They also approved 312,000 MT worth of corn imports, taking the total volume issued for those so far in 2015/16 to 12.8 MMT, a 46% rise compared to 12 months ago. FranceAgriMer cut the proportion of the French winter wheat crop rated good to very good 2 points from a week ago to 79% (87% a year ago). Winter barley G/VG was also cut 2 points to 76% (86% a year ago), as was spring barley to 91% (86%). Corn ratings came in at 75% good/very good versus 84% a year ago. The French wheat crop was said to be 99% headed, up 12 points in the week. Spring barley is 26% headed versus 10% a week ago and 75% a year ago. Corn planting was unchanged on last week at 98% complete (110% a year ago). There are concerns there about steadily deteriorating winter wheat and barley conditions plus slow corn sowings and retarded crop conditions. FranceAgriMer revised up their forecast for French wheat exports to non-EU destinations this year from 12.0 MMT to 12,4 MMT. Wheat ending stocks were trimmed a similar amount to 3.5 MMT. Algeria bought 100 TMT of feed barley in a tender for August shipment, though to be most likely to end up coming from Ukraine. Late in the day the USDA released their Jun World S&D numbers, in which they increase EU-28 all wheat exports in 2016/17 to 35.5 MMT, up from 35.0 MMT a month back, and up 7.6% compared to 33.0 MMT this season. EU-28 2016/17 all wheat production was increased by 1 MMT from last month to 157.5 MMT, down 1.5% on this season's record. Russia's 2016/17 wheat crop was pegged at 64 MMT (61 MMT in 2015/16), and Ukraine's at 24.0 MMT (27.3 MMT).